There's just something really uplifting about daffs. Their sunny smily faces bobbing about in the breeze can't fail but to cheer the spirits. 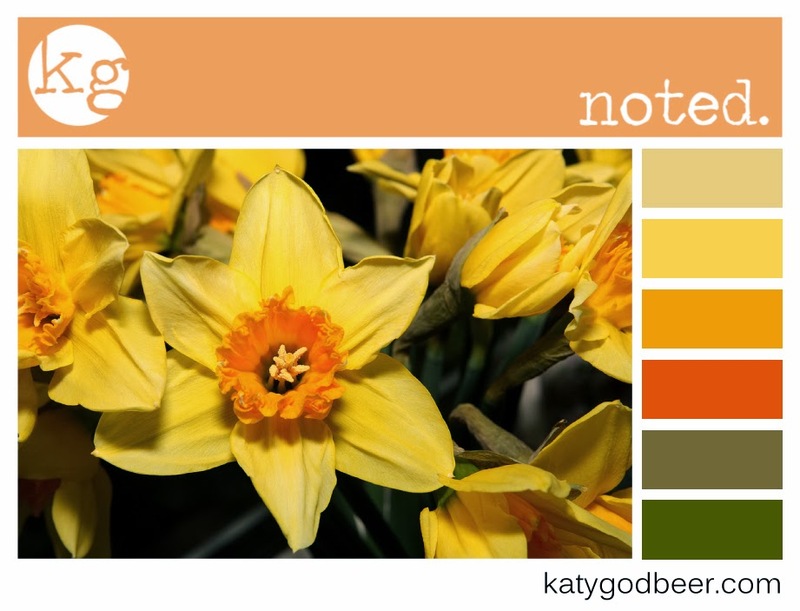 This week's colour palette is just as happy... perfect for a springtime themed scrapbook page, getting organised with a Mother's day card, a wonderful choice for an upcycling project or just for getting a splash of colour into your outfit of the day! If you get inspired to create using my colour inspiration this week, I'd love to see what you get up to! Leave me a comment below and I'll pop over and take a look!